We all have clutter and unused objects in our sheds. Most people tend to hold onto or reuse certain items. Below we have given our top 4 tips on how you can reuse that old garden hose! • Six-inch garden hose scraps are an ideal spot for your hand tools. Cut the hoses to length with a small tab at the top to take a wall-mounting screw. Using a garden hose for this purpose is especially convenient for the man who does not want to build a cabinet. • Use hose lengths to protect a child’s hands from swing set chains. • Cut the hose strip to fit a hand saw blade. This is a great way to keep it safe in your shed. 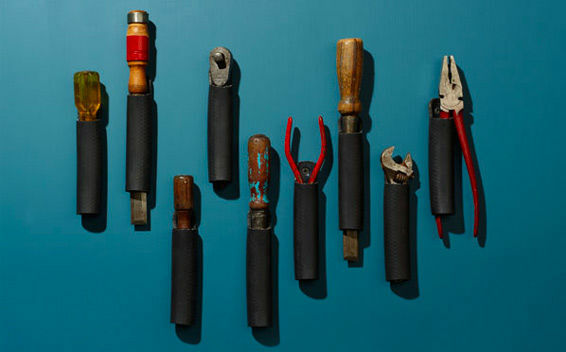 • Wrap a chisel or a star drill in a hose to make a shock absorbing grip.